Improve the look of your store’s fixtures with this LED tower cabinet. 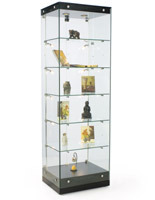 Powered by energy efficient lights, this illuminated case is a perfect way to exhibit high end products like jewelry, electronics, and collectibles. 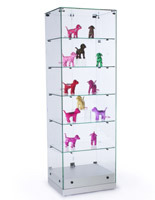 Each glass tower cabinet includes five height adjustable and removable shelves, fitting objects of all sizes. 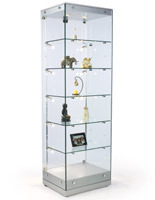 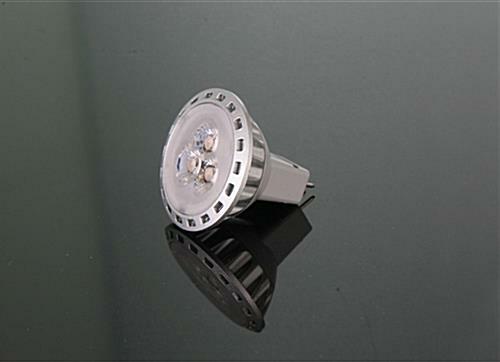 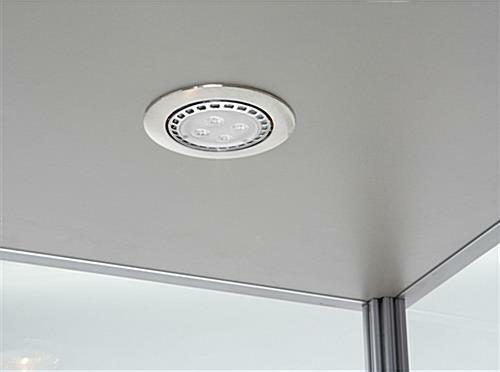 For best results, adjust the 10 side lights to properly illuminate your display unit. 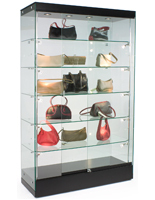 With its lockable doors, this case also doubles as a secure storage solution for your more expensive products. 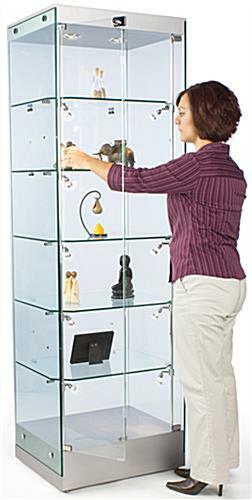 This tower cabinet is shipped fully assembled, so you can start setting up your fixture as soon as possible. 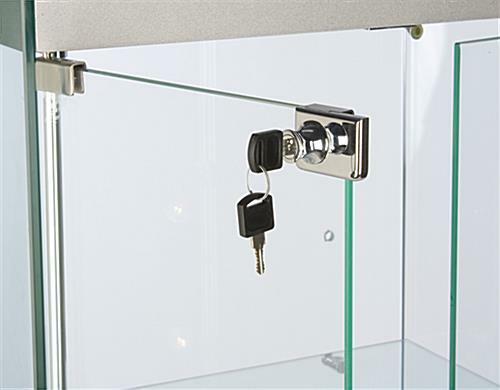 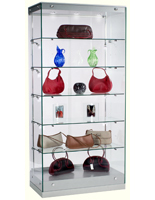 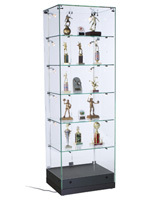 Give your customers a clear, unobstructed view of your merchandise with this frameless display unit.